Well today makes it official, I have been driving for 1 year solo! Hi all! I know I am not around a lot but I just wanted to let y'all know I finally made it to a year solo driving. My best friend told me last week she thought I would have given this up long ago and gone back to doing mortgage loans. I enjoy not being stuck in an office far too much to quit and besides, I have lost and kept off about 40 lbs since I started. Who knew I was wasting money going to the gym to work out and all I had to do was start driving a truck! For many of the new(er) folks here you cannot imagine what a big deal this is as I was encouraged to quit the company sponsored driving school I went to not only once but twice! It was thought I would never be able to pass the backing portion of the driving test and best to go to a program that was longer. Well, I didn't quit and passed all sections on my first try much to everyone's amazement. Have things been perfect with my backing since then? Far from it but I continue to improve daily. For those of you considering this career I will tell you to first and foremost believe in yourself. My instructors weren't being mean when they encouraged me to quit, but in their experience they just didn't see how I could pass. With a lot of prayer from others and a lot of determination on my part, I was successful. I did a regional dedicated account for the first 6 months and for the last 6 months I have been on a local dedicated account (with a different company than my original one). I wasn't looking for a local job when I began looking but it was in my mind the best opportunity. I know a lot of new drivers want local positions so they can be home every night with their family but as Old School said in a thread to Mountain Girl, local is one tough gig so be careful what you wish for. You may be home every night but too tired to do anything more than grab a shower, eat something, and hit the rack only to get up the next day and start all over again. Don't forget in the time you have off you will have to figure in commute times too. I haven't watched t.v. or read a book in months and see my friends less than I did when I was running regional and home every weekend. I'm definitely not sorry I took this position but I miss a lot of things about being out on the road and may well return in the near future. There are pros and cons to every position and company in the trucking world, so find which one is the best fit for you regardless of what others think. Best of luck to all of you and be safe out there! Mamma used to tell me, "You always bounce back. I've seen it. You always do." Sort of like my mother telling me she raised her girls to be survivors. I'm not in this profession to be a victim; so I'm working on quantum leaps in personal growth. You will come out ok, whether in your current position or a new one of that I am sure. Keep your head held high and know this is a tough gig for anyone. It isn't whether you get knocked down in life that is the issue, but whether you get back up swinging or continue to lie on the ground. Somehow, I just don't see you taking a hit without getting back up swinging no matter how perky and upbeat you are! A momma bear has to provide for and protect her cubs and I know you will. Mg, I hate to hear things have been so difficult for you. I got a local (more like linehaul) position at the end of May and I can relate to much of what you do on a daily basis, and I am here to say it ain't easy. I have been fortunate in that I have bumped in to a few things but have had people in the company go to bat for me with the safety department. Keep your chin up sister regardless of the outcome, although I am hoping it will be positive. I could never have tried to do this had my children not been grown and out of the house, so my hat is off to any woman driver who is able to do so. My mother, who is one very wise woman, has always told me I can do anything I set my mind to and I am passing that along to you. Should you not be able to stay at your current company, you will find and new one. Sometimes we think we know what is best, but then it is removed (even when we don't want it to be) and we find something better that we never would have looked for had the other thing not been removed. I have faith in you that one way or another you will land on your feet regardless of what happens. 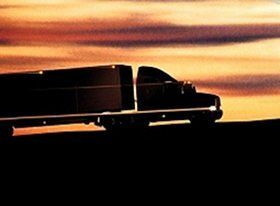 I currently work for Marten Transport as a local driver but know drivers that are regional and otr. Their sleeper trucks are equipped with an APU. If there are other questions you have specifically let me know and I will be happy to answer if I am able. I have made good money working for them as a local driver, but doubt I would continue to work here if I were to go back otr. A part of that is due to the fact they pay on length of haul and I would prefer to be paid the same cmp on all loads as it is easier to keep track of what I should be paid. As a local driver I am paid a flat daily rate plus cmp which does not vary. The company will automatically set a driver up to accept per diem pay and I am not sure if it is possible to opt out if one should choose to do so. Miles paid are based on zip code to zip code which can at times be detrimental to the driver (think driving in the Chicago area). Their breakdown and detention pay is excellent at $20/hour and I have never had any hoops to jump through to get it other than putting in and out times on my bills which is no big deal. Any others questions let me know! Congratulations on completing your first year driving....in my birthday no less! :-). I am coming up on my 1 year solo too and it is amazing the difference between then and now....heck it is amazing the difference between 6 months ago and now! Anyway, glad to see you made it a year and here's to many more! I work as a local company driver for Marten Transport and I make well over $5000/mo gross. I am paid a daily rate plus 25¢/mile and I do a few other things daily for which I am paid a little extra (namely inventory the trailers at the 2 locations I go between). I could make more but I already work my tail off and I have come to realize that most of the extra pay from working weekends goes to the tax man so right now isn't worth it to me. Roehl does not require a cdl they have there own school in Marshfield Wisconsin that's who I got called through and they now pay you while you attend do there school. I went to school with Roehl last year too. Why did they say you would need your CDL in hand? I got my CB free with my points from Pilot/Flying J. You have to resist the temptation to use your points to buy coffee, pop, etc or they will never build up to get the bigger items. The cashier's always ask me do I want to use points if I buy a drink but I just tell them no, I am saving them up. I think the chain's would rather see you fritter them away, frankly. You will be amazed at how fast they can accumulate! YOU LOSE, YOU GET NOTHING! GOOD DAY SIR! Any person who quotes from The Big Lebowski has earned my respect. I owe you a coffee Jay. Sorry, that's from the original Charlie and the Chocolate Factory!!!! From one cancer survivor to another, I am so glad to hear you are back on the road again....wait, isn't that a song???? You know you're at a bad truck stop when.. When you see the fuel pumps are all torn out, craters for pot holes in the dirt lot, and signs on the door that say "restrooms are for customers only." Oh yes, and you have to pay to park there. Hey Wilson, how have you been? Haven't seen you post in a while and was wondering about you! Oh I've been running hard lately. I had my 17yr old nephew from France come to visit this summer. I took him out in the truck with me for about 3 weeks. He loved it! Now I am running hard again. Oh yeah, I recently went over my 1 year solo anniversary. Now I am an experienced rookie! Some companies will make you do a physical assessment to measure your ability to push, pull, and lift certain amounts of weight. They measure your pulse after each assessment to make sure it isn't above a certain level...90% of your maximum heart rate I believe. The exercises are designed to simulate work we do daily whether hooking and unhooking trailers to securing a load. I am 5ft tall and passed my company's assessment but not without some worries. I had to lift 50lbs in a crate and put it on a shelf sitting 48 inches off of the floor...that is fairly high for someone my height and you cannot use the handhold on the crate. I could lift the weight (barely) but my pulse was too high on the the first try. That got me even more upset which naturally made it higher. Thankfully I managed to calm down with the help of the test administrator and passed on the second try. If this sounds like it might be a concern for you, ask prospective companies if they use the Work Well assessment for their physicals. What may be your biggest issue is bring able to push 100 psi. Women do not have the upper body strength men do generally and you have little weight behind you to help. Hope this is helpful and best of luck to you! I had T-Mobile for 2 years before I began driving and was very happy with them but ended up switching to Verizon last November when I went solo. A few weeks ago I switched back to T-Mobile because I figured I'd be OK with the coverage since I stay in Indiana, Ohio, and Kentucky most of the time. Well, I had it for 3 days and went back to Verizon because I missed and dropped too many calls. I think if you are in a fairly large city T-Mobile is great, but I drive from large city to large city with a lot of corn and soybean fields in between....coverage stinks there....I love the customer service I receive from T-MOBILE but they still have work to do on coverage IMHO. I drive a local account that is more like linehaul than truly local, such as a city driver would drive. Like Errol, I drive anywhere from 8 to 11 hours a day and if is largely the same routes going from one Coca Cola DC to another and back again. I am paid a flat rate per day plus .25¢/mile. Some days I get pretty good miles (300+) and some days I don't. Schedule is M-F with weekend work available but optional (for the time being at least). The upsides? I make a lot more than I did otr, I get to sleep in my own bed at night, and I don't have to walk in to the truck stop in the middle of the night to use the toilet if need be. The downside? Some days I only have a 10 hour break before having to be back at work and that 10 hours includes my commute which some days is easier than others in the afternoon. That being said, I enjoy the account and building relationships with the personnel at the various DC's. It wouldn't be for everyone that is for sure but suits me just fine! You might try Gordon/Heartland. I have a friend that drove local for several years and then went to work for Gordon on a regional dedicated account. Heartland bought about 60% of Gordon not too long ago so no ide if things are different now but its worth a shot. Sounds great Max ( well except the unload part, lol)! Having the option to run local for extra cash is a huge bonus in my mind. I am on a local account (more like linehaul really) and have the option to work weekends if I want. Some I do and some I don't but it is nice to have the option! Congrats!!! Pick up and deliver are not the only criteria anymore? Who do you think will be making money when the slow season begins? Dumb question for you. .. When is typically the "slow season" or does that depend on whether dry van, flat bedder or reefers, etc and does that tend to be a regional thing? I know last year after the new year the dedicated dry van account I was on slowed down considerably......of course the fact I was hauling Nabisco products and everyone goes on a diet about that time could have something to do with it!!! I think reefer drivers stay busier year round but don't know that for a fact, just observation from my friends who drive reefer. I spoke with one of my friends who drove on the account I currently drive on with a different company ( before the company I drive for took it over) and was told it never slows down. That being said, I'm not taking any chances. Maybe a reefer driver or 2 will jump in here and let you know what their experience is. Patrick, I run on a local dedicated fleet where I get paid a flat rate plus miles. When I started I was told the expectation was to run 2 loads per day. Well, as things go when a new account is started with a company there has been BIG learning curve for everyone from my company, to the shipper, to the drivers. Some days it is possible and some days not. However, and this is a biggie, some drivers have figured out they can actually make more money if they get detention pay than if they take a short run, so they play the odds of trying to sit more than 2 hours. Personally, I hate sitting and frankly I'm not much of a gambler so I start my day as early as possible (today began at 02:00), so I am sure I will get at least 1 decent run in. Some days I come back to the yard and there is a preloaded trailer and I can get shorter run in and some days I only get the one. I probably make less money than I could if I tried the detention game. Upper management is starting to get on drivers who are sitting a lot because they are not generating revenue for the company but taking home pretty decent money for sitting. Who do you think will be making money when the slow season begins? Not the folks content to sit I'm pretty sure. The long and the short of it is, companies need wheels to turn to afford to pay any of us so I can see why there is an expectation beyond just arriving on time to a consignee.